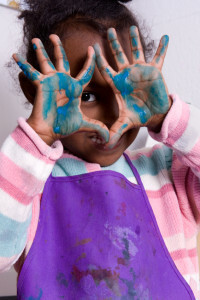 Early Years Teacher Info » A guide to the new standards for Early Years TeachersEarly Years Teacher Information: Tips, books, toolkits. To achieve your Early Years Teacher Status (EYTS) you must demonstrate your competencies against each of the Teachers’ Standards (Early Years), and evidence your leadership skills, reflective practice, and experience with babies, toddlers and pre-school children. Earlyyearsteacher.info will take you through each of these areas, step by step, offering practical guidance, tips and strategies. 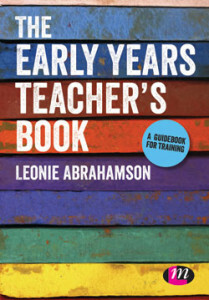 When you are ready for more detailed information on each of the Standards and the age-range and leadership requirements, you can find this in ‘The Early Years Teacher’s Book’. You can order your copy here and download free sample chapters. The key to achieving your EYTS is preparation. The two publications below will support you in your preparations for your Early Years Initial Teacher Training – practically, mentally and academically. This short guide will help you organise yourself, set up the systems you need, plan your approach to the Standards and strengthen your evidence. It includes free templates for tracking your evidence at each stage. This text is full of practical suggestions to help you develop your confidence and assertiveness, professional expertise, effective study habits and organisational systems, time management strategies and leadership skills. What makes a good piece of evidence? Please email us at info@earlyyearsteacher.info for more information or support.